Comox Valley based artist, Cher Sherwood, is undeniably one of Vancouver Island’s best kept secrets. She has spent years combing the beaches of Vancouver Island selecting unique rocks and skillfully refining old-world lapidary techniques. The labour intensive process is started by hand sculpting and shaping rocks and turning them into pendants. This is followed by a meticulous polishing process (by hand, with sandpaper) which brings out an almost glass-like finish that captivates the eye. After carefully drilling into the rock, it is securely attached to Resonated Rocks signature swivel finding, it is ready to wear for any occasion. All rocks, which have been found along the shores of British Columbia, are skillfully selected. Cher has a particular talent for seeing the beauty and contour in each stone to compliment her artistic vision. Hours of hand sculpting and polishing go into each piece bringing old-world artisan technique to modern design. These designs are hand sculpted in Cher’s home-based studio. Hours upon hours of work go into each piece, and the quality is impeccable. Her one-of-a-kind pieces are not restricted to her pendants and can be commissioned upon request. Cher has an absolutely stunning Autism Awareness Puzzle Piece Pendant line as well. 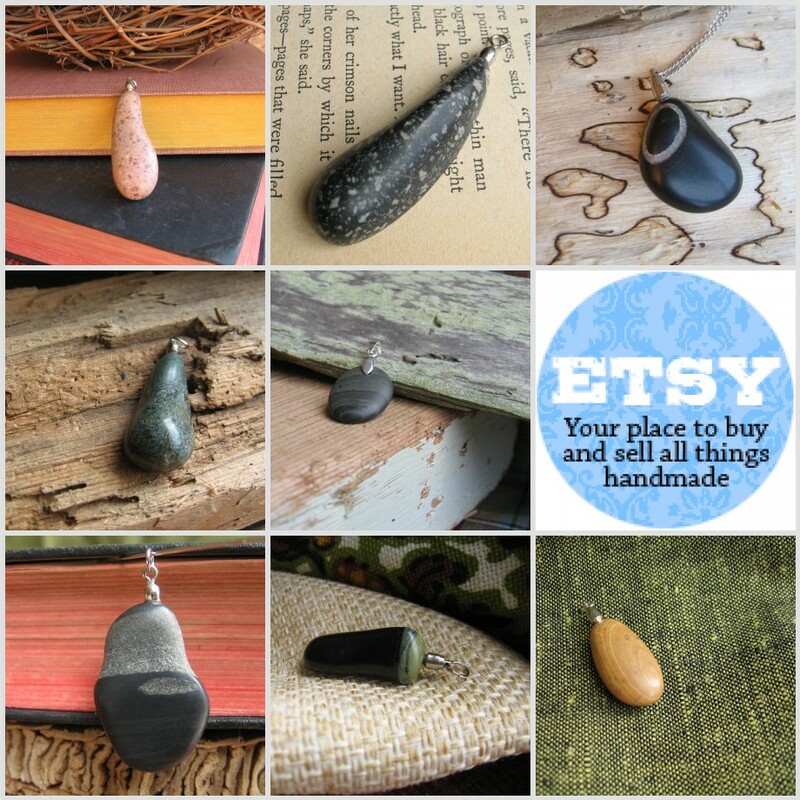 Again, each pendant is meticulously shaped out of hand selected rocks from the beaches of Vancouver Island. They are completely unique and truly stunning. Having two boys on the Autism Spectrum herself, this is a cause that is near and dear to her heart.